A premium Graphic design hub! Learn Graphic Design from Experts - Make a difference ! Create awesome designs ! Are you yearning for a creative career but worried about starting from scratch? Our intensive graphic design course could be the answer. You'll learn relevant industry skills from practising designers, and you’ll graduate with a polished portfolio showcasing your best work. In 6 months full-time or 1 year part-time you‘ll be ready to land your first design role. Graphic design plays many roles, as effective information-dispenser, communicator and persuader. Technology and mediums are rapidly changing the way the graphic designer works, but basic principles of good design hold strong. Besides aesthetic considerations, graphic design encompasses contemporary culture, media, research, analysis, and critical judgement. Development of conceptual thinking as well as traditional design skills are given equal emphasis during the course. 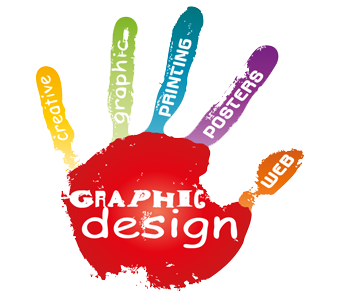 Graphic design offers different areas of study as such typography, illustration, publication design, identity design, branding, and information design. It covers a range of work, from signage systems to medical leaflets, and educational tools to logos. Our codeXpert courses are designed for people who want to combine the convenience of online learning with hand-marked assignments, personal support, and feedback from expert instru1ctors. Graphic Design is a 6-week online graphic design course. The course is designed to give people with no formal graphic design training a reasonable introduction into the world of graphics. In this course, you'll learn a simple process for creating graphics by completing three design projects. In the first project, you'll learn how to use size, shape, color, and type. You'll also learn how to apply the concepts of contrast, repetition, alignment, and proximity to make your graphics look good. In the second project, you'll create a page layout using text, charts, graphs, and simple drawings. In the last project, you'll produce another layout using text, diagrams, procedures, icons, and screen captures.